10 reproductions of Spider Murphy’s 1975 white Pipeline Gun, reinterpreted by 10 artists in the Dutch style of Delftware. A series of bodysurfing handplanes in a limited palette of colours. A Factory Rally Kit-equipped 1968 Porsche 912 reupholstered with premium class South African tan leather hide. It reads like a gift list for the man who has everything, which is exactly what South Africa’s Dutchmann is offering. 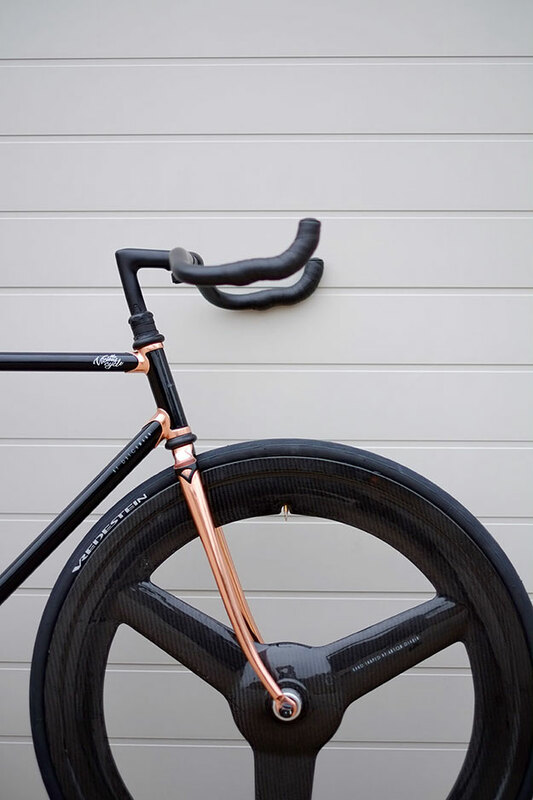 And if the man who has everything didn’t already have a handmade copper-plated track frame? Well, Christmas is sorted. Gavin Rooke is curating a connoisseur’s collection of boy’s toys that should cater for all weekend pursuits, from big wave surfing to carousing around curvy backroads in a performance-spec’d Porsche. 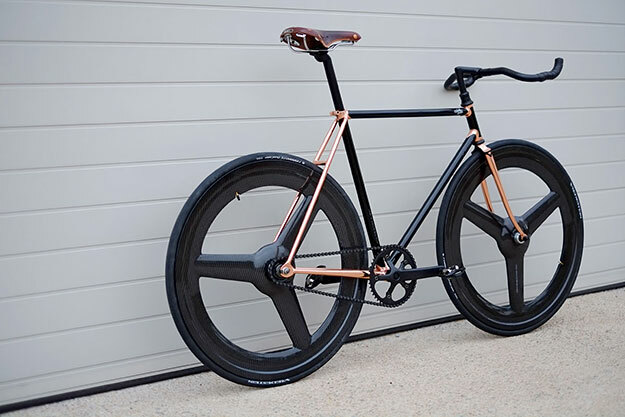 No gent’s garage is complete without a bicycle, however, and those chunky, logo-covered, carbon-fiber pop-out frames won’t cut the mustard. 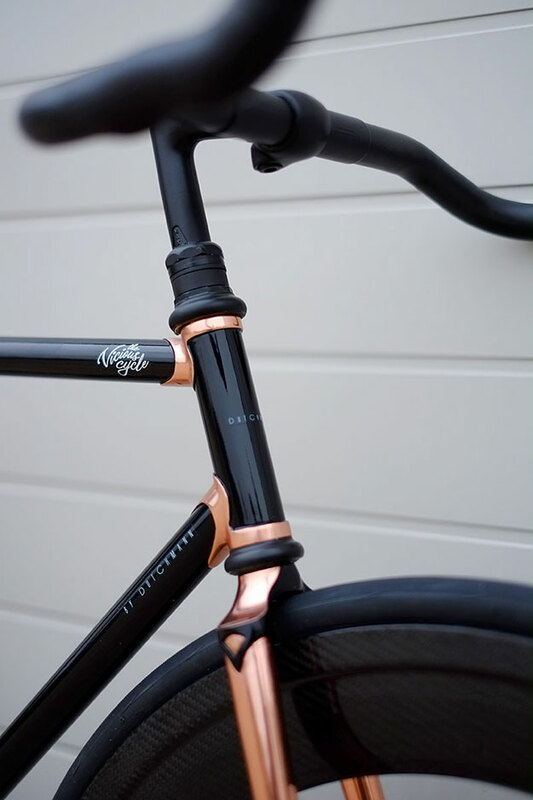 Enter Dutchmann, who brought Duncan MacIntyre, South Africa’s most accomplished frame builder, out of retirement to collaborate with composite specialist Anton Dekker on The Vicious Cycle. MacIntyre had been building frames since the 70s for various local marques and his own, ‘Gemini’, before The Vicious Cycle project lured him back to the torch. 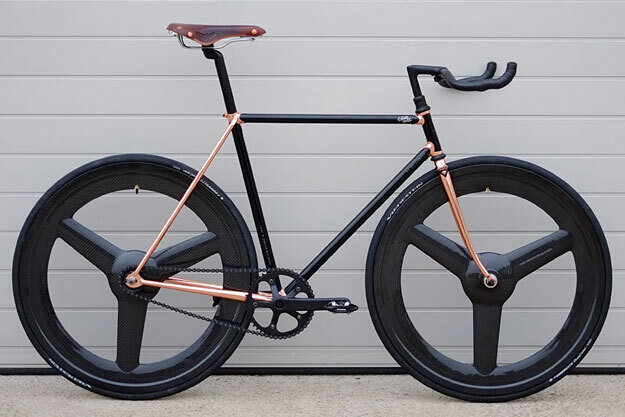 The limited run of 10 frames were hand-brazed from Reynolds 653, stripped, coppered and lacquered in black before being built up with a custom set of tri-spoke composite wheels by Anton Dekker and Exclusive Conversion — who usually manufacture bespoke items for Porsches, Lamborghini and Ferraris. Even the logo was considered: hand drawn by Gustav Greffrath, a Johannesburg Creative Director and Designer.